She has written and edited texts to support Scots and English language work in Education and appeared in Literary and Language events in Europe, Scandinavia and the Far East. She teaches creative writing, has held writing fellowships throughout Scotland and works with hundreds of pupils throughout the year,inspiring them to write their own poetry. Her collaborative work includes various projects with artists, photographers and sculptors. The public art work Cree Lines in South West Scotland was a text-led collaboration with Scottish Natural Heritage. Her Inverness Airport Residency was the subject of an ITV documentary ‘Poet on a Plane’. Previous posts held include teaching English and Learning Support, Scots Language Development Officer, Cultural Co-ordinator for creative writing in Dumfries & Galloway schools. She co-edited New Writing Scotland for the ASLS from 2006-2009. She has been awarded two Scottish Arts Council Writers’ Bursaries and a Year of the Artist award for engaging with land users in south west Scotland. 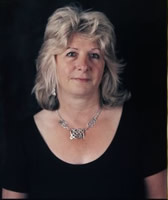 In 2006, Liz Niven was an award winner for the third time in the Glasgow University McCash Scots Poetry prize. The Kist/A Chiste and Turnstones. Stories and poems have been widely published in newspapers, anthologies and magazines and broadcast on radio BBC Scotland, Four, Ulster & World Service and Chinese Radio International. Liz Niven can offer poetry readings, creative writing workshops or text collaborations with artists in other media. She can offer talks on placing text and poetry in 'Where Text can go' based upon on a range of highly successful community and school-based projects.